The Geneva-based body will adopt a new resolution that will give time till 2021 for the Sri Lankan government to fully implement commitments it made four years ago on transitional justice and accountability. New Delhi: India’s desire to give some breathing space to Sri Lankan Prime Minister Ranil Wickremesinghe found a sympathetic ear in the international community. His government is to be granted a further extension of two years to carry out key pledges on transitional justice and accountability. Just before the UN Human Rights Commission (UNHRC) session ends mid-week, the Geneva-based body will adopt by consensus a new resolution – proposed by the UK, Canada and Germany – that will give time till 2021 for the Sri Lankan government to fully implement commitments it made four years ago. Sources said that India had been kept informed “at every stage” about the drafting of the resolution by the UK. This is the first time that the US is not taking the lead, since it withdrew from the HRC last year. This is the first regular session that India will participate as a member of UNHRC, after a mandatory gap in 2018 of one year following two consecutive terms. According to sources, various countries were aware of the very recent turbulent political history and the fraught ties between President Maithripala Sirisena and Wickremesinghe. “It was felt that the government required a break and this was not the right time to impose any stringent strictures,” said an Indian government official. However, some Nordic countries with large Sri Lankan Tamil diasporas, had tried to introduce stronger language in the text. This was when India intervened to “remind” the international community about the current circumstances in Sri Lankan polity, sources noted. However, officials said that there was largely not much intervention required, as there was consensus among the international community about the need to give the government some breathing space. “We didn’t have to do too much,” said the official. This will certainly be good news for Wickremesinghe, who has been embattled domestically, with presidential election due in Sri Lanka within a year. This agreement came despite Sri Lanka not having a good record of meeting its assurances on reconciliation and transitional justice. The UN human rights commissioner’s report on Sri Lanka, which will be discussed on March 20, has acknowledged some of the steps taken by the government, but continued to be critical about the pace of accountability reforms. However, with Sri Lanka co-sponsoring the resolution, as it had done with two previous iterations, officials said that the text would be adopted without the need for a vote. After the adoption, India’s statement will include references to the need to take into account the sentiments of the Tamil population. There could also be a rare public mention of the full implementation of the 13th amendment that decentralises power to provincial councils. India had been a key advocate for the 13th amendment, but it has largely been absent from recent statements. On March 6, Sirisena informed heads of media organisations that he will be sending a three-member team his behalf, led by former foreign minister Mahinda Samarasinghe. He also indicated that Sri Lanka will not co-sponsor the resolution and would instead ask the international community to abandon plans for investigation into alleged atrocities. “I want to tell them [the UN] not to pressure us…What I want to tell them is don’t dig the past and reopen old wounds,” he said. A few hours later on the same day, a two-page joint press release was issued by the Ministry of Foreign Affairs, Department of Government Information and the Prime Minister’s Office that Sri Lanka would be co-sponsoring the resolution. In effect, there would have been two separate delegations from Sri Lanka at UNHRC’s 40th session. Taking a dig at Sirisena, the press release stated, “The allegations made against the co- sponsoring of the roll-over resolution by the GOSL is part of the campaign to mislead the public and gain undue political advantage.” It also blamed the “infamous constitutional coup of 26th October, 2018” for the delay in bringing in some of the required legislation to implement commitments. After months of estrangement, Sirisena had removed Wickremesinghe and made Rajapaksa as the prime minister in a surprise move last October. Wickremesinghe was restored as prime minister after the Supreme Court deemed the presidential orders to be unconstitutional. Eventually, Sirisena climbed down after a week. According to the Sri Lankan media, Samarasinghe told President Sirisena that it would be embarrassing to go to Geneva and advocate a position at the UNHRC that was directly opposite to his previous commitments. In October 2015, UNHRC had agreed to a resolution – co-sponsored by Sri Lanka and backed by India – that called for a domestic judicial mechanism with foreign judges and lawyers. With Sirisena defeating Mahinda Rajapaksa in a shock upset at the January 2015 presidential elections, the new government in Colombo was basking in the glow of the international community’s approval. A year earlier in March 2014, India had abstained on the resolution that called for an international probe into human rights violations that occurred in the last stages of the civil war. In 2013 and 2012, the UPA government – under coalition pressure – had voted in favour of US-sponsored resolutions that criticised the Mahinda Rajapaksa government for not taking enough steps to ensure accountability. 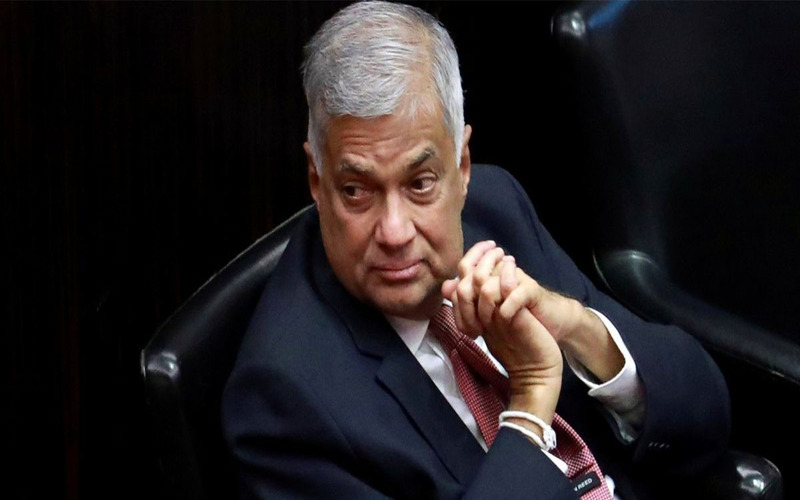 Sources told The Wire that the Sri Lankan president had also been discretely informed by India and other members of the international community that if Colombo didn’t co-sponsor the resolution, it was highly likely than a vote would have been called on March 21. “If that had happened, then all bets were off,” said a highly-placed official.